We’re revising this page to bring it up-to-date with latest resources. In the past week Modern Robotics has announced two new sensors to its lineup, a color sensor and an integrating gyro. The color sensor claims to support a passive mode, which allows it to detect color from an external light source (such as the LEDs of the Res-Q game beacons). It also supports an active mode, where the sensor has its own light emitter to detect the color of a reflected target (similar to how the LEGO Mindstorms and HiTechnic color sensors work). The color sensor is available now, but as of Sep 21, 2015 the FTC Robot Controller App doesn’t have libraries to support the sensor. The gyro sensor is a 3-axis gyro that does onboard integration of the z-axis, thus it can be used to calculate heading with greater accuracy than if the calculation is performed on an Android or PC host. The gyro is slated to be available for sale by mid October 2015. 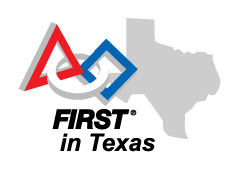 This page attempts to document what is known (and not known) about League Play and Qualifying Tournaments in the North Texas FTC Region for the 2015-2016 season. This page is not an official document; the statements below are simply opinions and citations from various sources, and they do not represent official rulings from the regional organizers. Where possible, we will attempt to link to or cite official sources for each of the answers below.